Early, so early! Now it’s chilly again. I haven’t gone out to look at the following flowers as we finally got rain off and now since Saturday night. 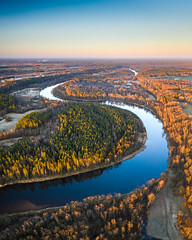 I am doing several challenges on Swap-bot.com. 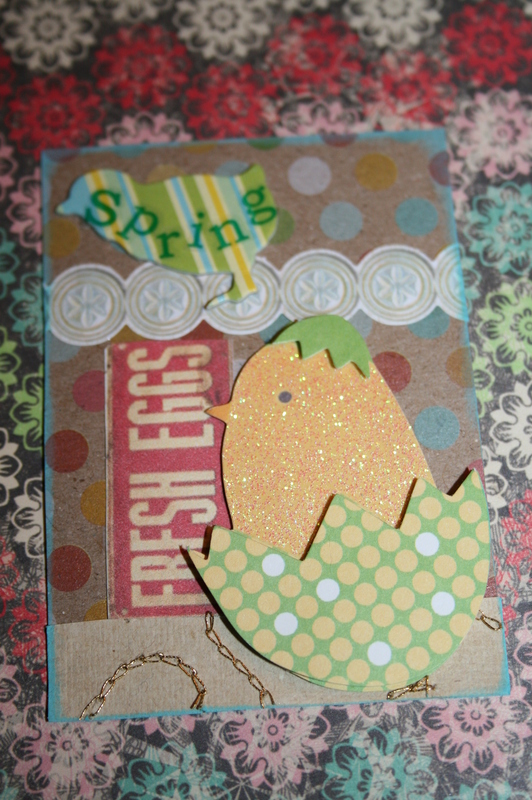 This was my choice of design and it’s called ‘Spring Chicken’. I got a package of really cute chicks and bunnies and the lady in New Zealand likes these sort of ‘die-cuts’, so I thought of that when I was making this. 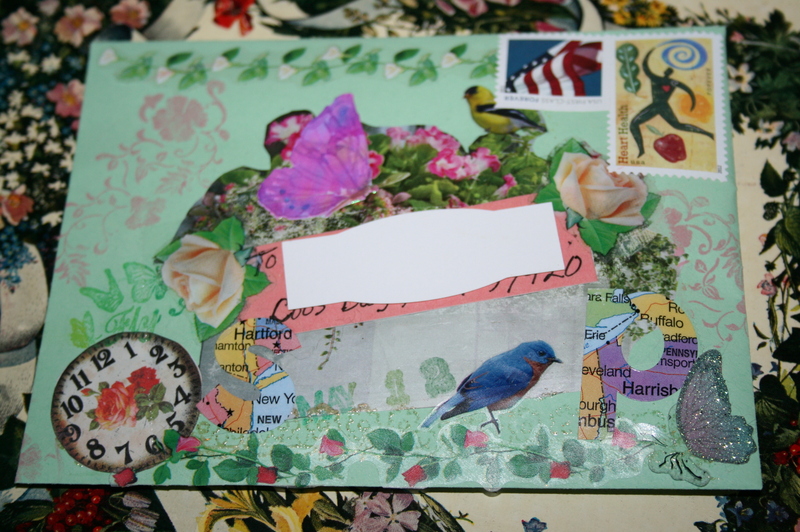 A decorated envelope for ‘May Day’ is going to Oregon. 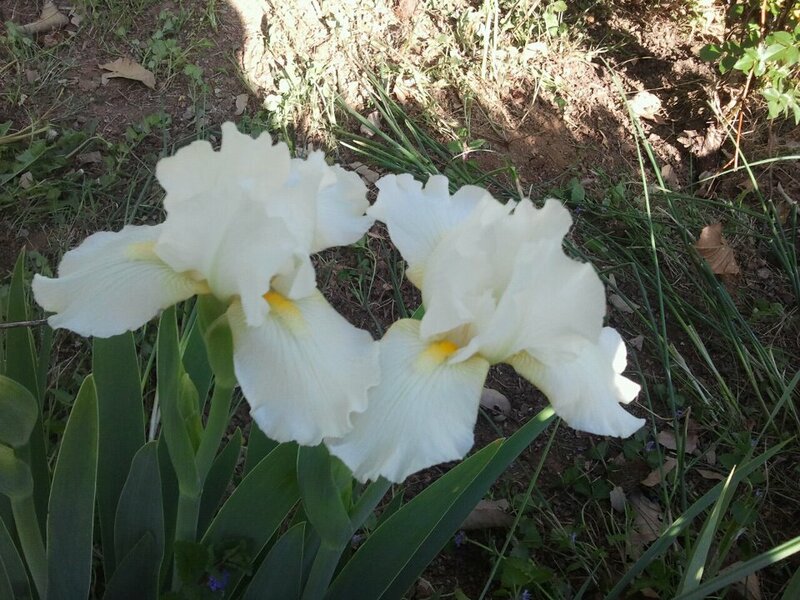 Pretty white flowers, Dianne. 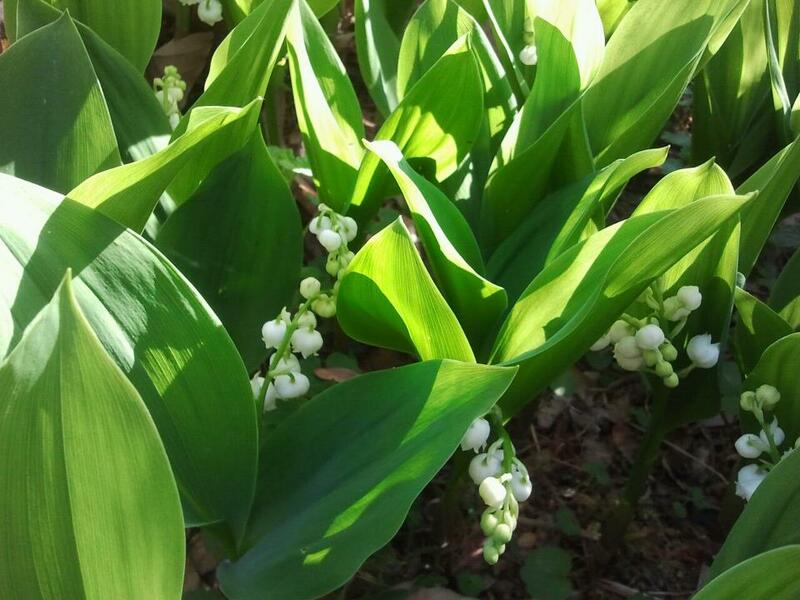 I wish my Lily of the Valley would grow like yours. Mine are planted among pine trees and they don’t like it a bit. I really need to dig them up and replant them. I just came inside from planting my Breck’s order. I think it may rain tonight, so that would be perfect!